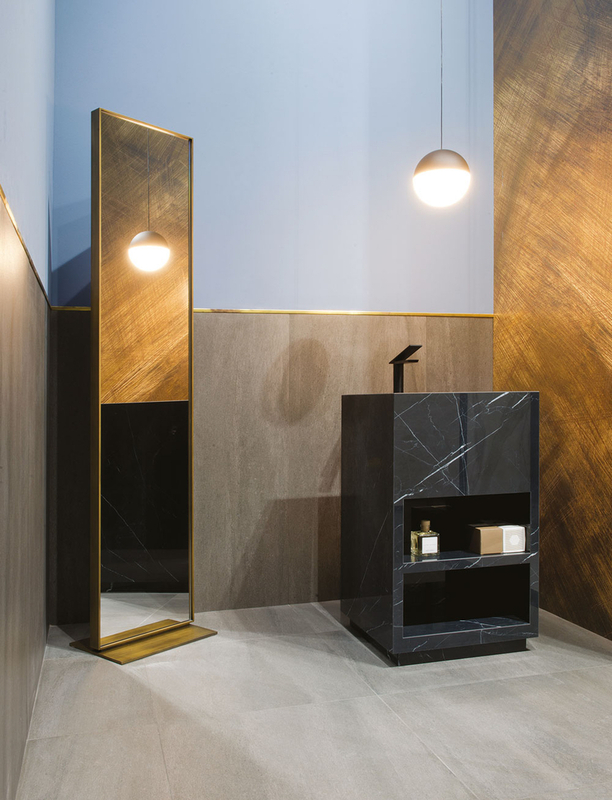 Hundreds of exhibitors are heading to Bologna for Cersaie 2018, the 36th edition of the international expo of ceramic surfacing and bathroom furnishings. Here are seven launches we’re excited to see. 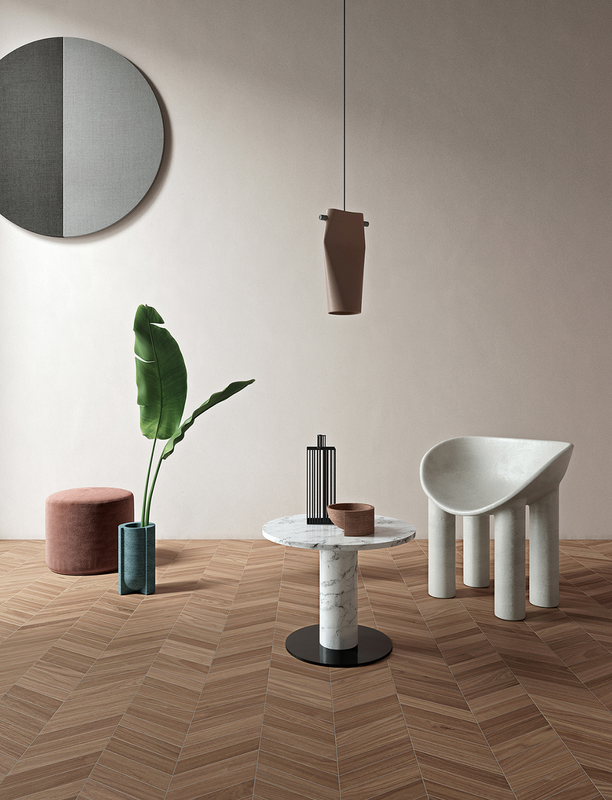 At its core, Bologna’s influential Cersaie is a celebration of what’s new (and what’s next) in the ceramic surfacing and bathroom furnishings world. Expected to draw hundreds of international exhibitors, the expo is a celebration of innovation in one of the traditional heartlands of Italian porcelain – the Emilia-Romagna region, which has ancient roots in ceramics and glassblowing. But Cersaie’s curiosities go beyond the trade-show floor: The Sound of Design, for example, promises a group exhibition that pairs Italian contract design with metal, punk, reggae and hip-hop. 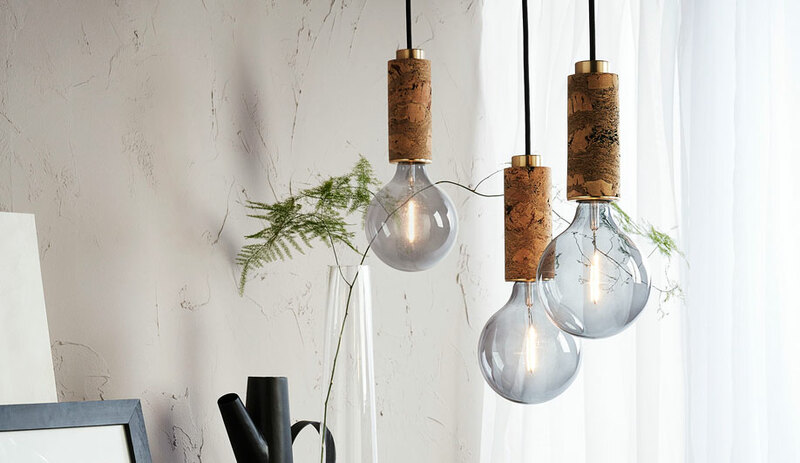 OEO Studio, Barber & Osgerby and Sarah Cosulich will pair new designs with mixology at Bar Indeto. And concurrent to Cersaie, Bologna Design Week will bring workshops, competitions and lectures to the Italian city’s historic avenues. Indeed, there will be a lot to digest in Bologna (including, of course, the other thing the Emilia-Romagna is famous for: its cuisine). 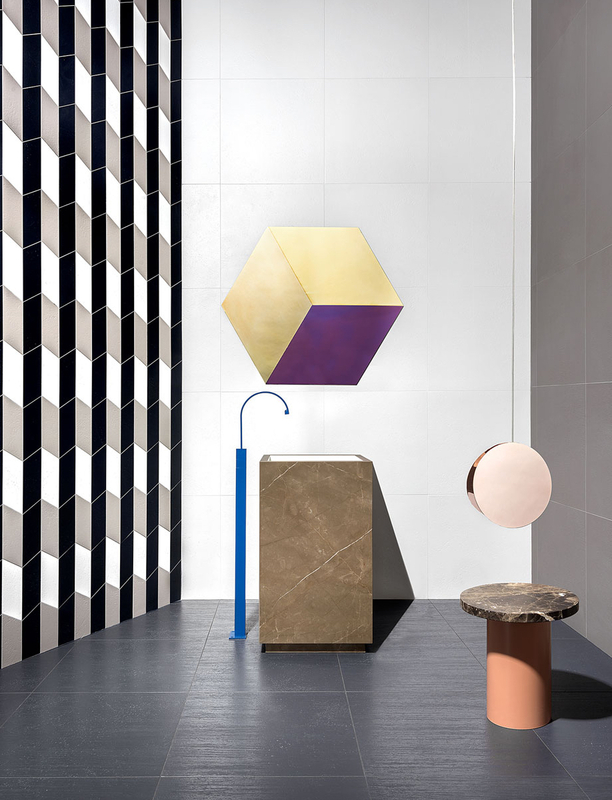 Still, Cersaie, running between September 24-28, is most impressive for its exhibitors, who will define the year in ceramic surfacing and bathroom design. 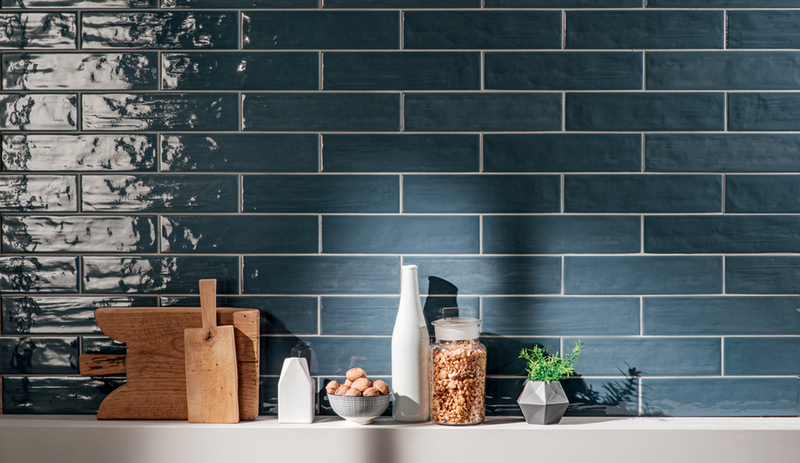 Azure will be there documenting Cersaie’s best – but ahead of the show, here’s what we’re excited to see. 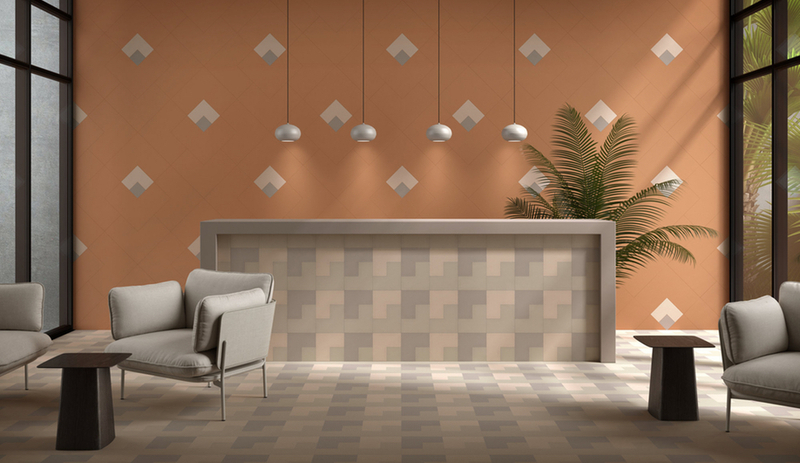 Designed by LucidiPevere for Living Ceramics, Cava Mosaico is an iterative take on Cava, the neutral cement surfacing the Udini, Italy, duo previously designed for the Spanish tile brand. 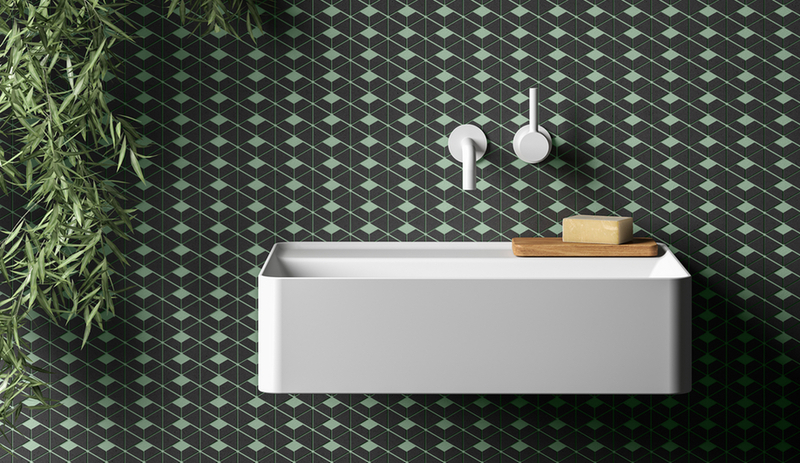 While the original Cava collection came in standard sizes and formats, Mosaico is made up from a series of small, triangular and trapezoidal pieces that assemble in a matrix. In practise, these matrices are dazzling, adding dynamism to walls and flooring. 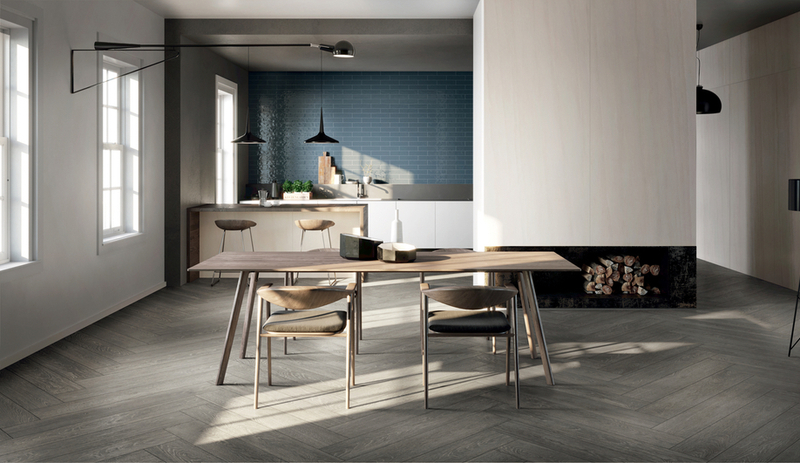 Wood-look ceramics have been trending at Cersaie for a number of years, and that continues in 2018 with launches from Italian porcelain stoneware brand Caesar, which is celebrating its 30th birthday. 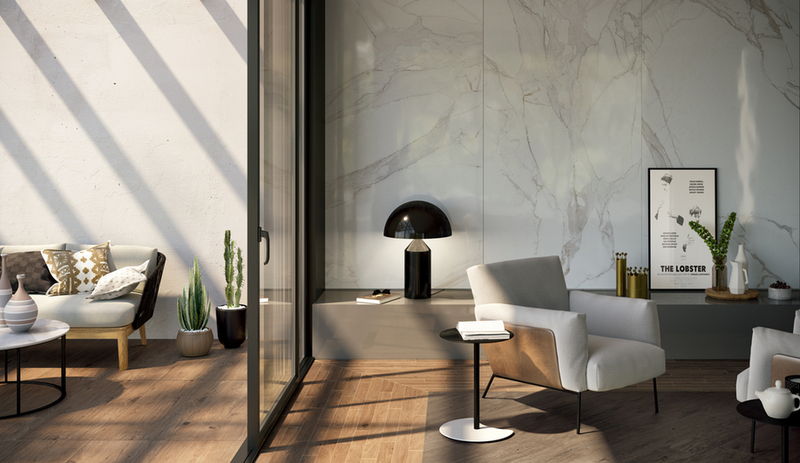 At Cersaie, the brand’s booth will be exploring how porcelain can be used for decorative, raised floors, outdoor applications and swimming pools, along with showcasing two wood-look products: Arthris (above) and Evood. 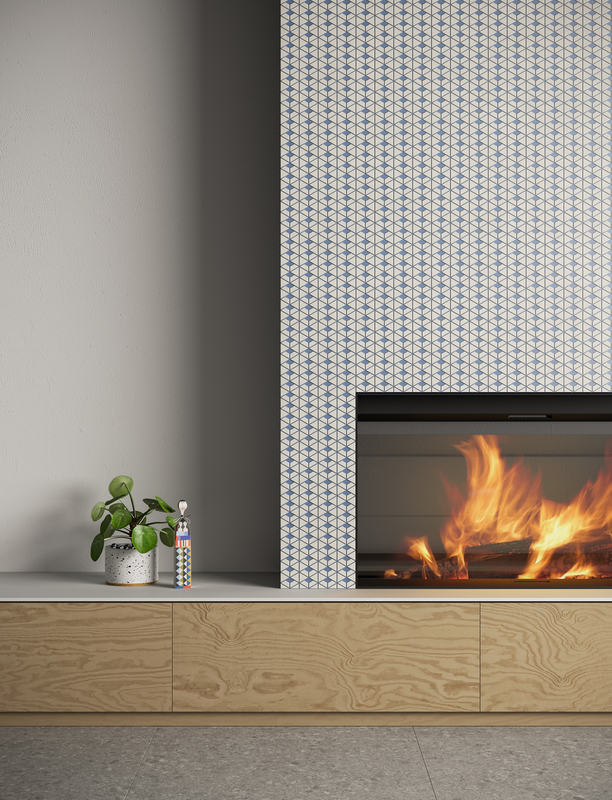 Evood, the blue tile pictured above, artfully evokes the natural grain of wood with the technical qualities – and the vibrant colours – associated with porcelain. 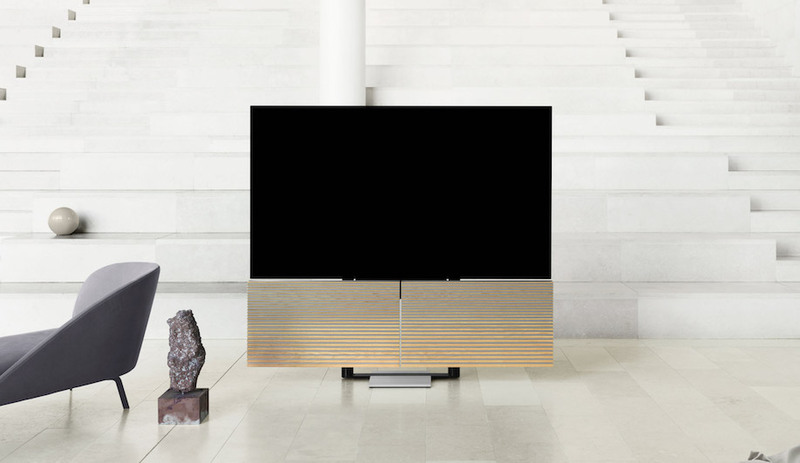 Arthris, meanwhile, borrows from wood in a less subtle fashion: the patina, grain and rich colouring of the stoneware directly emulates the character of wood flooring. Minus, of course, the maintenance. The Aqua Maximum Collection uses Fiandre‘s proprietary Maximum Extralite material, a lightweight ductile porcelain, to construct an entire washroom. 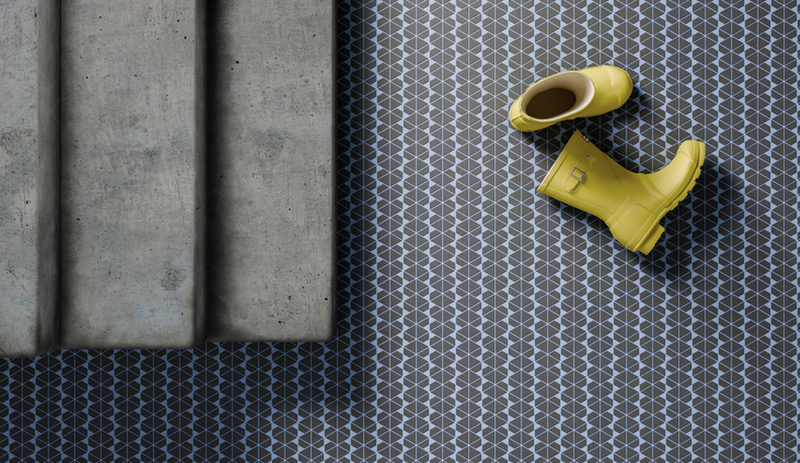 While Maximum Extralite had previously been used for flooring and tiling, the company has now used it to construct a series of shower trays and washbasins. The result, Fiandra says, is a collection that offers aesthetic continuity. 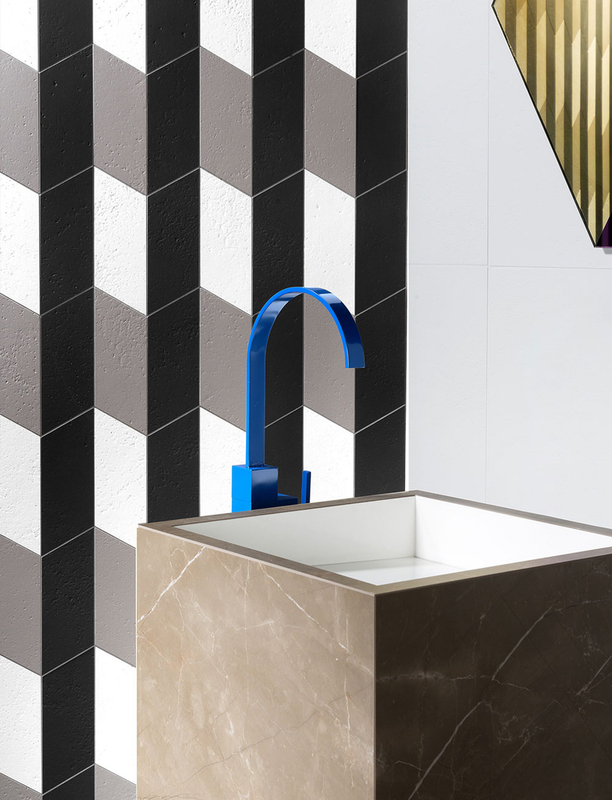 To match Fiandre’s flooring and wall surfacing options, Aqua Maximum’s bathroom furnishings come in marble, stone, concrete, resin and fossilized wood colourways. The brand’s single and double washbasins – which come in waterfall variants – and shower basins are custom-constructed and suitable for residential, spa or hospitality settings. At Cersaie, forward-thinking stoneware brand Harmony is launching a new collection by Venice designer Luca Nichetto. The aptly named Solaire aims to illuminate its surroundings, whether it’s a wall or shower, using subtle dots and patterns. 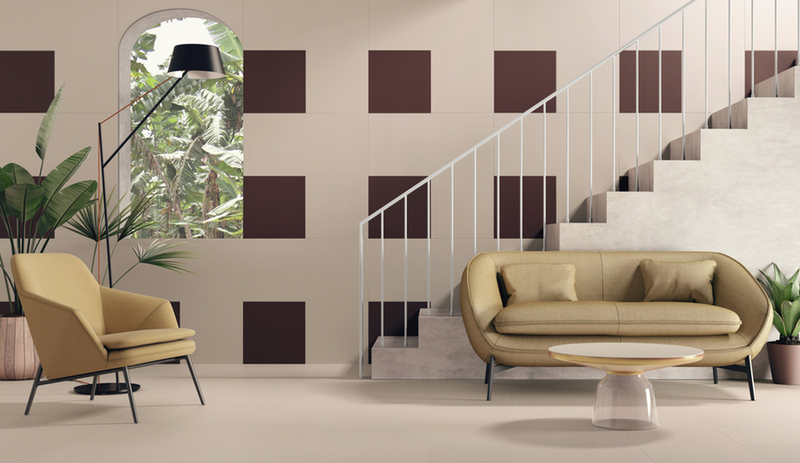 The tiles feature lines, dots and squares imprinted into stoneware, and is available in a wide array of colours, ranging from earthy Bordeaux (above) to leather. 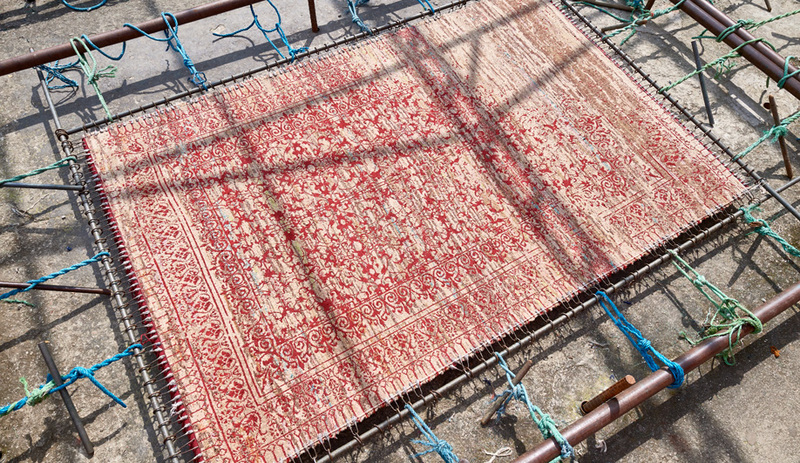 Solaire’s patterns are subtly dynamic, says Nichetto, and its “vibrations and movements alter the perception of a surface that contrasts with the natural features of the ground.” Along with Nichetto’s collection, Harmony will also debut a fabric weave-inspired collection by Valencia-based Yonoh Studio. 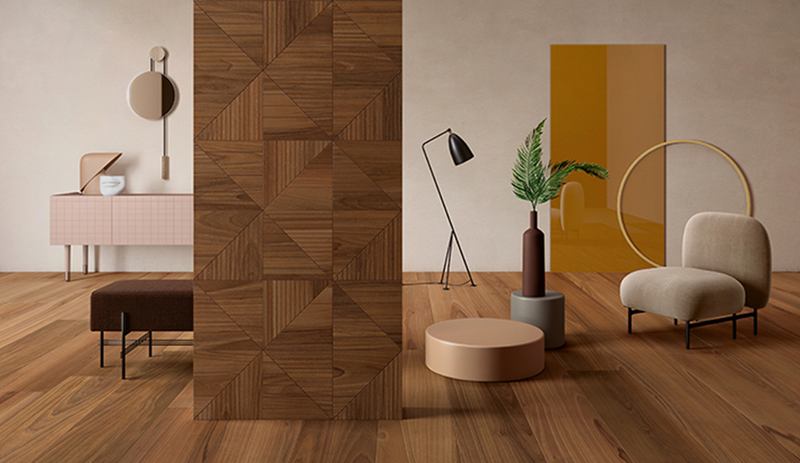 Like Caesar, Lea Ceramiche is also unveiling a wood-look collection at Cersaie. Bio Select, which recreates the warmth of oak and walnut, uses digital printing to stunning effect: look closely, and you’ll find an interplay of colour and subtle veining. 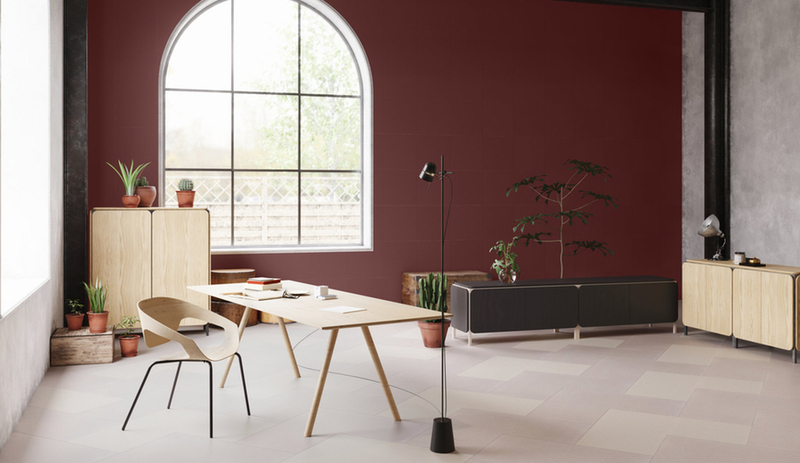 Both oak and walnut varieties are available in seven colours, either in large-format board patterns or trapezoidal shapes, ideal for herringbone patterns. The customizability of Bio Select allows it be used inventively – take, for example, how it’s applied in the column above. The patterns for Lea Ceramiche’s oak, says the brand, features linear motifs, while walnut features the irregularities found in natural wood. ArtCeram has been manufacturing porcelain bathroom furnishings from Civita Castellana, a town north of Rome, for more than 30 years. 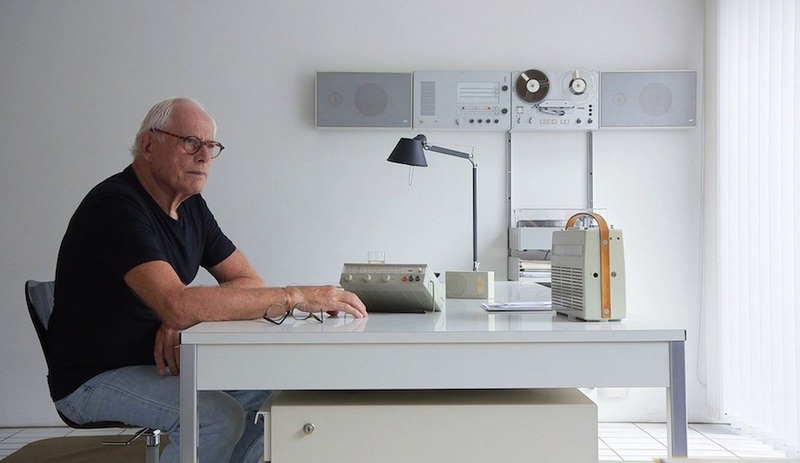 And for the past 13 years, it has partnered with Milan-based product design studio Meneghello Paolelli Associati, who at Cersaie will unveil The One and Cartesio, its newest toilet and washbasin. 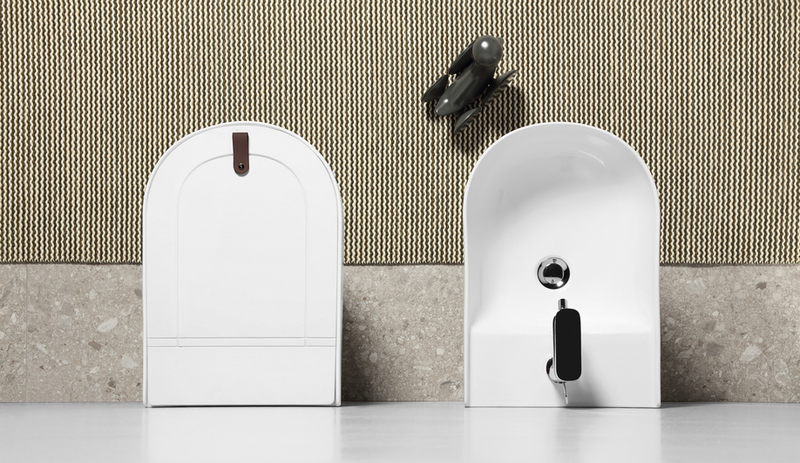 Cartesio (above) is a simple, geometric washbasin available in oval, rectangular and circular configurations. 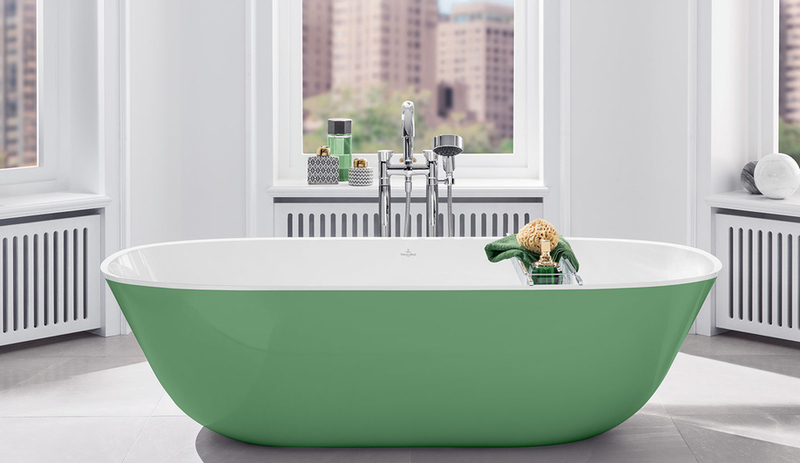 Defined by pure porcelain and clean lines, it’s “a small explosion of pop art – in the bathroom,” the designers say. The One (above left) is a rimless toilet defined by a hingeless, inset seat cover. Milled from a 10-millimetre thick sheet of Wood-Skin, the cover lifts up, simultaneously creating a seat and allowing access to the ceramic chamber within. With a compact footprint, The One is almost entirely toilet bowl – and pairs wonderfully with Meneghello Paolelli Associati’s bidet (above right). 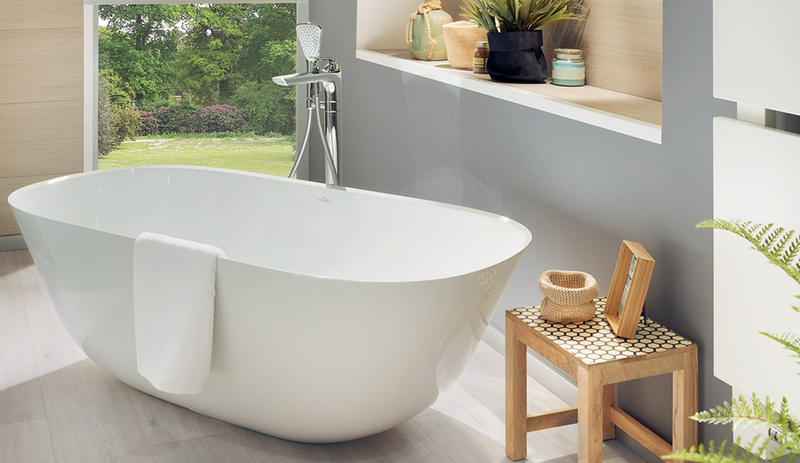 Villeroy & Boch will unveil three free-standing bathtubs at Cersaie, though the standout is its Antheus model. Placing the bathtub in a stainless steel frame, the fixture draws inspiration from Art Deco and Bauhaus design. The Theano bathtub, meanwhile comes in two sizes – 1550 by 750 millimetres and 1750 by 800 millimetres – and is defined by its elegant curvature. Conceived by German industrial designer Christian Haas, Theano and Antheus are made from Villeroy & Boch’s proprietary Quaryl, made from a sanitary quartz-acrylic blend. The brand says that the material is superior at retaining heat, can be shaped precisely and is smooth and non-porous, making it easy to clean. The bathtubs can also support 1,000 kilograms of weight.